The book contains underlining or highlights but does not effect the text. ***SIMPLY BRIT*** We have dispatched from our UK warehouse books of good condition to over 1 million satisfied customers worldwide. We are committed to providing you with a reliable and efficient service at all times. This is an ex-library book and may have the usual library/used-book markings inside. This book has soft covers. In good all round condition., 1400grams, ISBN: 9780471358985. Good. Covers worn. Ships from UK in 48 hours or less (usually same day). Your purchase helps support the African Children's Educational Trust (A-CET). Ex-library, so some stamps and wear, but in good overall condition. 100% money back guarantee. We are a world class secondhand bookstore based in Hertfordshire, United Kingdom and specialize in high quality textbooks across an enormous variety of subjects. We aim to provide a vast range of textbooks, rare and collectible books at a great price. Through our work with A-CET we have helped give hundreds of young people in Africa the vital chance to get an education. We provide a 100% money back guarantee and are dedicated to providing our customers with the highest standards of service in the bookselling industry. Very Good. 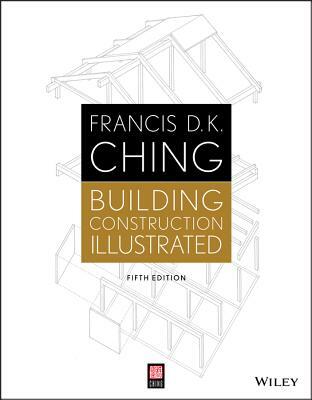 The classic visual guide to the basics of building construction, now with the most current information For nearly three decades, Building Construction Illustrated has offered an outstanding introduction to the principles of building construction. Trade paperback (US). Glued binding. 480 p. Contains: Unspecified, Illustrations, black & white, Line drawings, black & white, Tables, black & white, Diagrams, Charts. Very Good. Building Construction Illustrated by Adams, C., 1991-03-31. Trade paperback (US). Glued binding. 28 p. Contains: Illustrations. Good. Building Construction Illustrated by Adams, C., 1991-03-31. Trade paperback (US). Glued binding. 28 p. Contains: Illustrations.